The walls surrounding Old Jerusalem tell the stories of the past inhabitants, stuggles for power and monumentous event said to take place here. Old Jerusalem takes years to explore and study. Three religions have designated the land within these four walls as holy sites. The bustling narrow streets depict a land where three major religions can live in harmony, but the tension between cultures seeps through the touristic forsade. 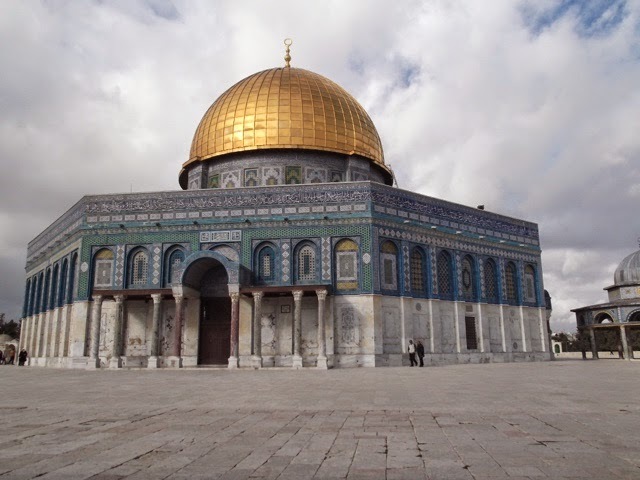 Muslims, Jews and Christians alike travel to experience some of the most holy sites. As I walked through Demascus gate into the Muslim Quarter with my backpack in search for my hostel it was aperrent Jerusalem would take much more than one day to experience. I found Citadel Hostel up St Marks street down a small alley. I chose the hostel due to its incredible architecture. It's stone sloping walls make the hostel look more like a cave than a building. After setting my backpack down I headed off for a quick falafel and the 11am walking tour. As soon as I got the tour I realized a 2 hour free tour with a 50 shekel suggested donation was not going to cut it for me. The four walls of Old Jerusalem contained so many years of history. I decided to do the 4 hour Holy Tour for the student price of 85 shekels. My tour guide was Ryan. He was absolutely amazing. Our four hour tour ended up being eight hours due to his patience. He promoted questions and allowed for extra time at each site. 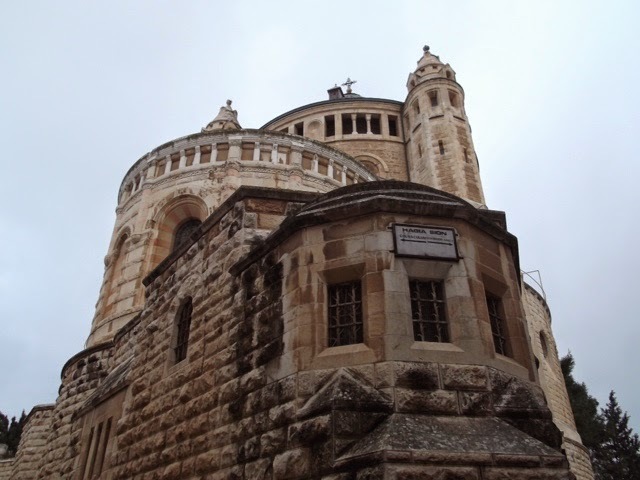 We visited many sites including Temple of the Mount, the Western Wall, King David's tomb, the last supper room, Church of the Holy Seplicure, among other holy site. The guide explained in detail the history and religious representation of each stop. I will not go into detail about everything that was explained, but I will talk about three of the most important locations in Old Jerusalem. The Temple of the Mount. This holy Islamic site is said to be the place where Muhammad rose up on the rock to speak to God and bring to earth the Islamic faith. Security here is strict, you must enter through a metal detector and a bag check. Any religious items are not allowed in, this included crosses, bibles, Torah's, stars of David or Hamsas. It's important to give these items to the guide who will keep them until the end. Once inside the complex you only have one hour before you are shoed out by the guards. Once inside you are not able to enter the mosque or temple unless you are Muslim. When inside the animosities between Jews and Muslims became apparent. When a group of Jews came in the Muslims praying inside began to scream at them. They ran out quickly. This site is holy not to just Islam but also to Jews and Christians alike. Next we visited the western wall, here our guide gave us time to write a note and take it to the wall. Women and men are seperated, men are proveded a kipa for their head. The significance of the walls symbolism in Judaism became apparent as I stood quietly my hand against standing next to a sobbing girl to oneside and someone praying on the other. 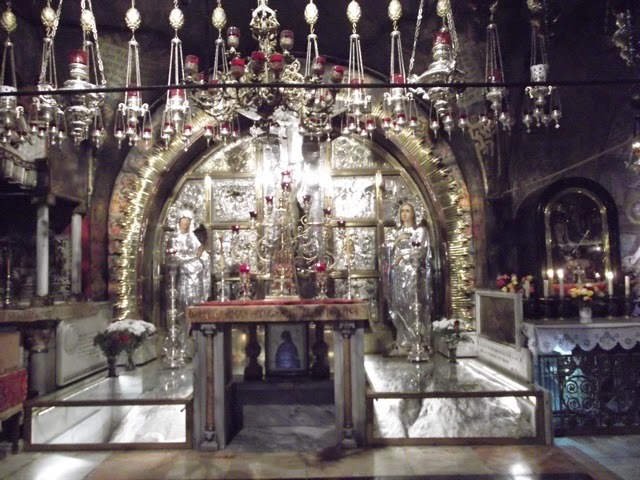 The most significant place on the tour for me was the Church of the Holy Sepulchre. Raised a Christian, I was very familiar with the story of Jesus's crucifixion and resurrection. Here we visited the last 4 of the Via Dolorosa. Here one can visit where Jesus cloths were removed and gambled over, next where he was hammered to the cross, you can touch the stone where his body was anointed. Lastly you can see where he was laid down in the cave and then resurrected. The church is beautiful, its significance in Christianity is apperent as you see pilgrim come from all over the world to crouch down by the rock where Jesus was layer down to die and light candles at the alter. The sound of organ resonating through the stone church brough on goosebumps. As I walked back to my hostel, overwhelmed by the history and emotions surrounding me I listened to the Muslim call to prayer, the Jews singing as they lit the menorah and the ringing bells of the churches mixing together in such sweet harmony.